The overarching trend I’ve seen in body products over the past five months is the emergence of multitasking, luxe innovations. By this I don’t mean silly golden-lidded godawful bottles that would be at home in Mariah Carey’s boudoir, but rather a degree of more care when formulating for the body, be it in the design of a bottle that fits right in the palm of your hand like a cleverly considered ergonomic masterpiece of packaging, or an exfoliant that doubles up as shower gel and does both with equal aplomb. 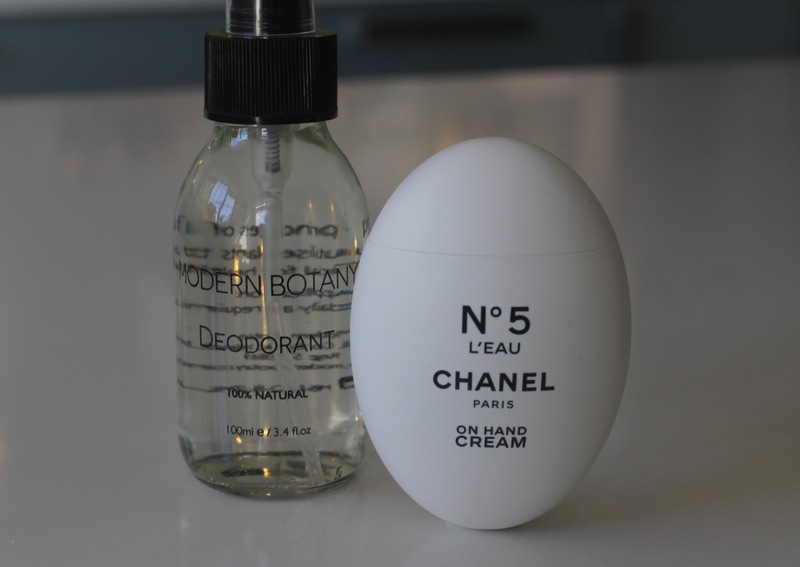 Chanel No 5 L’Eau On Hand Cream, £52 / Things you need to know about this one: 1) People will tell you how chic it is all the time, 2) it’s thin and lightweight so one for applying throughout the day and only to moderately-dry hands, 3) you may end up fondling the egg-shaped vessel in which it’s housed a lot as it is so pleasingly-shaped. Buly Pomade Concrete Hand and Foot Cream, £42 / Another delicious container, this time recalling French apothecaries. Contents are equally as pleasing – but this is a much thicker affair than the Chanel and therefore ideal for pre-bed/slathering on feet, too. Radical Express Delivery Enzyme Body Peel, £32 / This is SO pleasing just massage onto dry skin, and keep massaging – bobbles comprised of the peel plus your dead skin will form and my god is it a fun process (if you enjoyed reading this, you’ll love using it). Korres Body Oils, £24 / Currently out of stock because Korres have such a faithful customer base owing to their exceptional products – particularly in the body department. I’ve been using their shower gels and body butters for years, so having this new format is an agreeable addition at night or on dry shins when I’m wearing a skirt – and the scents are dreamy so it sort of triples up as a perfume. The Body Shop Body Yoghurt, £8.50 / If the sensation of having something on your skin bothers you, or if you like to dress speedily as soon as out the shower, get this – it’s gone in a jiffy. That said, it doesn’t moisturise dryer than dry skin – it’s more a lightweight injection, not full on moisturiser. The scent options are lovely (mango is the one I’m into), and they’re all vegan. Bramley Exfoliating Body Scrub with Sweet Orange, Fennel & Spearmint, £14 / This charming brand make consistently lovely products. This scrub isn’t densely packed with the exfoliating walnut shell particles, which would usually bother me immensely but in this case hasn’t as the granules seemed to gain purchase on my skin and it’s a good shower gel too so all round great when in a hurry or if a bit lazy about exfoliation. Modern Botany Deodorant, £25 / If like me you’d prefer your deodorant to be both effective and sans countless ingredients that you don’t understand, try this. While for day-to-day I stay faithful to my thriftier Salt of the Earth deodorant, this fancier version now sits proudly on my shelf and I whip it out when I’m feeling a bit grand. 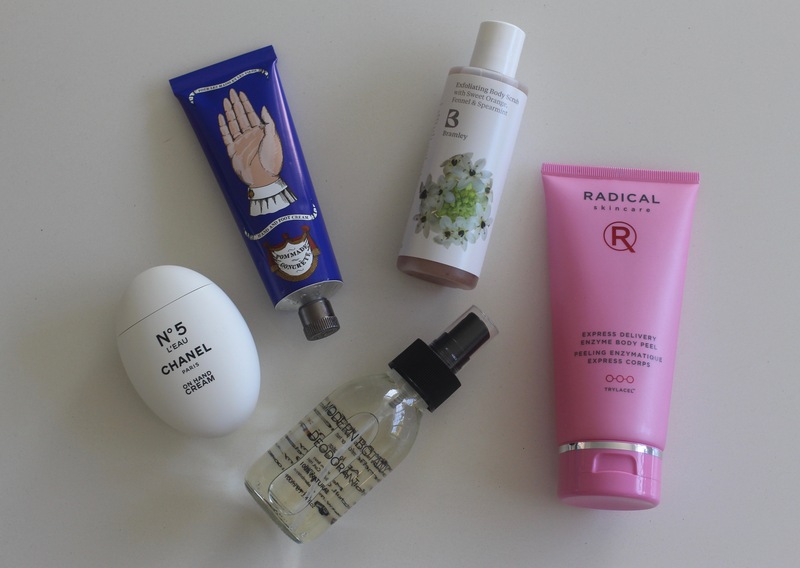 That Chanel handcream is next level!